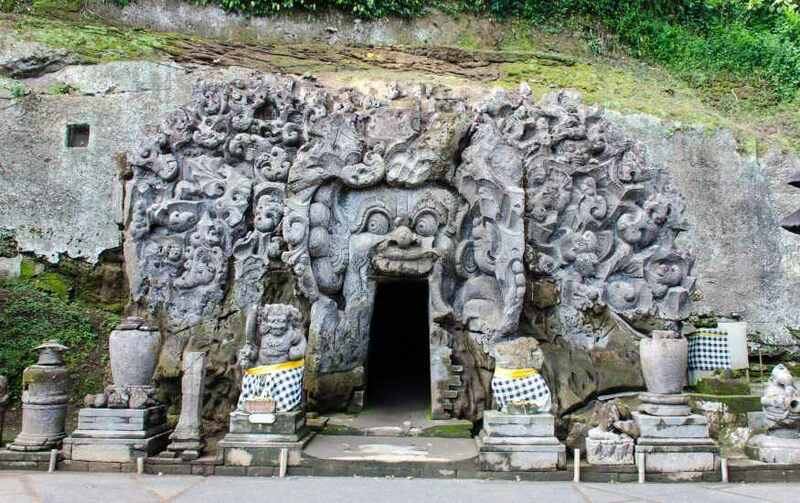 Goa Gajah (elephant cave) located two kilometers east of Ubud , this complex overlooks the Petanu river and consists of a Siswati rock-cut cave, a bathing place, a monks’ chamber, a number of Buddhists rock cut Stupa and statues , and several foundations. 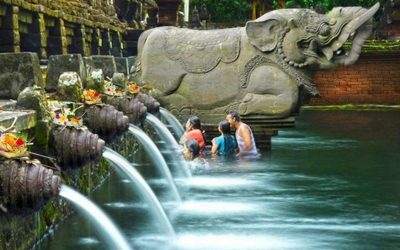 Dating from the 11th century, the temple features statue of Ganesh , Hariti and a sacred bathing pool.The actual site of Goa Gajah (Elephant cave) is down a flight of steps south of the car park. 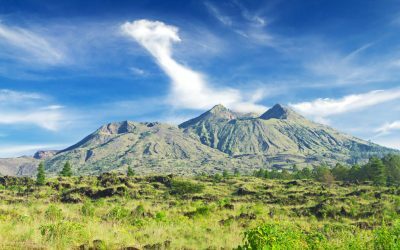 There were never any elephant on Bali; the cave probably takes its name from the nearby Petanu River which at one time was known as Elephant River, or perhaps because the face over the cave entrance might resemble an elephant. An 11th-century temple and funerary complex located in Sebatu north east of Ubud-Bali. that is spread across either side of the Pakerisan river. Gunung Kawi derives from the words: Gunung = Mount and Kawi = resemble. There is a large pool in the temple courtyard where the pool is filled by hundreds of koi with various types and sizes as well as thousands of other small fish that swim around the pond graced with beautiful colors. There are three parts of the temple which is the main temple, the congregation where this place of worship. 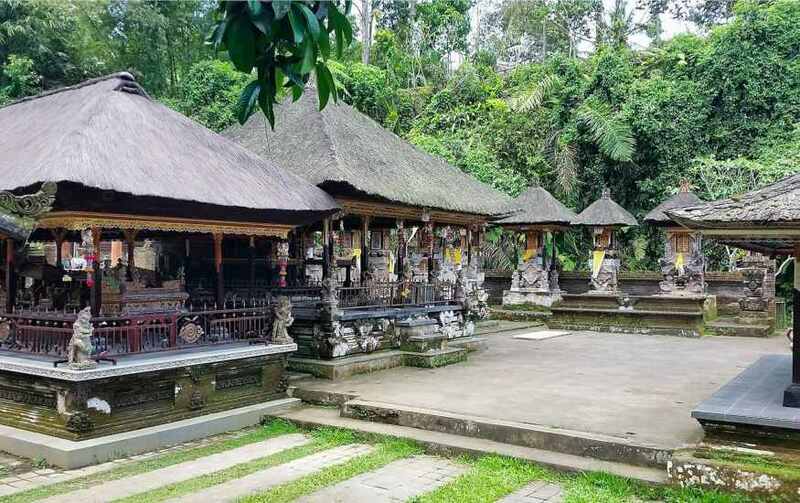 the day that this temple will be many congregations usually in the Balinese Hindu religious scriptures like the full moon, Galungan, Kuningan and other holidays for Hinduism in Bali. 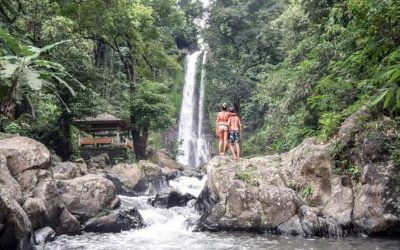 The village offers a cool mountain atmosphere and spans over a hundred hectares, comprising bamboo forests, farming land and the main village neighborhood site. The beauty of this village with its surrounding where indicated that this village is very little of modernization influence. Enter any of the houses through their arched gates, and you are welcomed by friendly residents who willingly show you around their compound. Old bricks still stand in their place, traditional kitchens are covered in soot from the billowing wood fire hearths, and the compounds are uniquely laid out, each following old Balinese spatial and architectural set of rules. 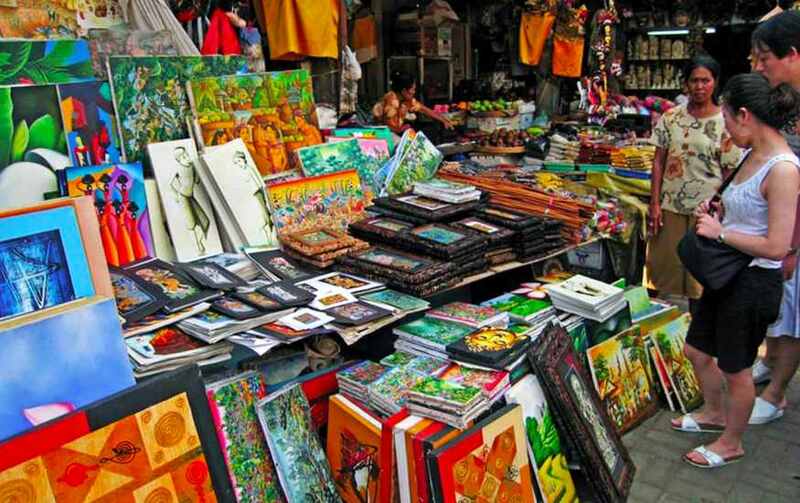 Finally, the greatest thing for women, on your way home you will be leaded to shop around Ubud. Your driver will explain about quality and the prices that you would like to buy, then finding the places. Known as center of art village, Ubud is the place to shop for art handicraft, to get the best quality of souvenirs in Bali that you would like to keep wearing or put as decoration at home, you will be leaded to some galleries which has great quality of handicraft, but if you just love to buy cheap thing which can be used once and throw away, market in Ubud will be the place to shop.